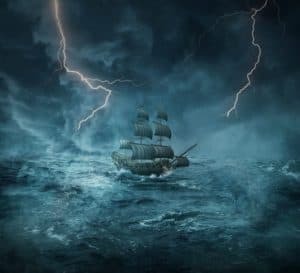 The Perfect Storm - Demonstrating Conflicts of Interest With Investment Advice - Can I Retire Yet? I began writing about personal finance to create a positive outlet for the anger, regret, and pain I experienced because of investing mistakes I made as a young professional. I became a consumer advocate to help others avoid repeating my mistakes. My mistakes were the result of blindly following the advice of a financial advisor without performing due diligence. I later discovered this advice led me to pay thousands of dollars in unnecessary fees and taxes every year. Compound the effects of these mistakes over decades, and this was literally a million dollar mistake. I do not suggest that all financial advisers are bad people or that you should not seek professional financial advice. But I strongly recommend that you understand that financial advice comes with inherent conflicts of interest. As a consumer, you must understand what these conflicts are, so you can make good decisions and protect your interests. To understand conflicts of interest inherent in the financial advice you receive, it’s vital to know how you are paying for that advice. There are essentially three models to compensate advisors. You can pay for financial advice through commissions on products you buy. You can pay as a percentage of assets under management. Or you can pay a direct fee for financial advice. Each comes with unique upsides, downsides, and conflicts. Unfortunately for me, I paid all three simultaneously …. the perfect storm. This allows an examination of the conflicts inherent in each model and what it looks like when an adviser chooses his interests over yours. My mistakes could be your good fortune if you take the time to learn from them. In the commissions-based model of paying for financial advice, you pay an advisor through a commission on financial products purchased. This is the most common method of obtaining financial advice for those with a low net worth. The conflicts of interest are obvious. A financial advisor paid by commissions is really a salesman of investment products. Each recommendation creates a conflict of interest. Does the advisor recommend the product most likely to be in the client’s best interests or the product with higher fees that allow the adviser to be paid more? Statistics suggest consumers beware. Consumer Reports says “term life (insurance) is a better deal for most families.” The same article stated that whole life insurance premiums result in larger commissions for insurance salespeople. So what products are most common? According to the American Council of Life Insurers, in 2016 40% of life insurance policies sold were term policies, while 60% were whole life policies. Vanguard founder John Bogle said, “It’s amazing how difficult it is for a man to understand something if he’s paid a small fortune not to understand it.” This is consistent with our experience with commissions based sales. We paid commissions when buying front loaded mutual funds. We agreed to this, and fees were listed on every account statement we received. In our last year using the advisor, we paid $1,660 in commission on the investments we bought. Much later, we determined that our total fees for that year were $7,680. The commissions we were aware of represented only 22% of the total fees we incurred. Most fees were hidden in expensive investment products that were not in our best interest. The most egregious example of being sold a product not in our best interest occurred when my wife rolled over a 403(b) account when changing jobs. The advisor recommended putting the money into a variable annuity. We later learned these complex financial products are rarely a good fit for investors, but nonetheless are often sold. They create large commissions for those that sell them. Variable annuities have high expenses, averaging around 3% annually according to the American Association of Individual Investors. One key feature that makes variable annuities attractive to some investors is the ability to use them as a tax shelter. My wife already had this benefit with the retirement account, without the unnecessary cost or complexity of a variable annuity. Another example of conflicted advice was being sold proprietary financial products. Proprietary financial products, like mutual funds, are produced by financial institutions. They are analogous to store brand products available in any grocery chain. But this analogy breaks down quickly. Grocery stores save on product development, branding, and marketing to sell store brands customers can buy for less. Savings from proprietary financial products could be passed on to consumers, as is done by consumer friendly companies like Vanguard. But when you’re buying products sold through a commission, proprietary products are vehicles for institutions to maximize profit for themselves. We worked with an Ameriprise representative. We were sold all Columbia mutual funds and a variable annuity through Riversource, both Ameriprise subsidiaries. The portfolio we owned had fees of about 2% per year, approximately 20 times more expensive than the portfolio I built as a DIY investor. Unfortunately, our experience is common for those obtaining advice from an advisor (i.e. salesman) in a commission based model. Buyer beware. The next model for charging for financial advice is collecting a percentage of assets under management (AUM). Proponents claim this eliminates conflicts of interest inherent in the commissions based model. Because advisors are paid a percentage of the wealth you accumulate, they claim an advisor’s interests are aligned with the investor’s, because both a client and advisor benefit when wealth grows. I disagree. An advisor is paid to accumulate assets under management, not to give the best advice. There are many instances when an investor’s money would be better used elsewhere. What if a client is debating using extra funds to pay off a mortgage early vs. investing more? There are legitimate arguments either way, but only investing more money benefits the advisor. How about a person contemplating withdrawing from investment accounts to invest in a personal business? Either decision could be correct for the investor, but only one would benefit the advisor. Risk is another issue. An advisor could add value by coaching a client to take an appropriate amount of risk. A conservative investor may need to take more risk to reach their goals. But what if the move backfired and the investor lost money? On the flip side, an overly aggressive investor may benefit by dialing risk down. But what if they lost performance? In either case, the investor could get upset and fire the advisor. There is incentive for the advisor not to rock the boat. Remember, they get paid for having assets under management, not for giving good advice. We knew we were paying commissions for the investments we were sold. We ended up paying AUM fees as well. The mutual funds we owned had a weighted average expense ratio of 1.14%. Part of the expense ratio was a 12b-1 fee. This annual fee, which was .25% of AUM, was in effect a kickback to the advisor, incentivizing him to keep us in a fund he had already been paid to sell us. This allowed the advisor to continue collecting a defacto AUM fee as long as we held the investments. We were advised to bypass our work retirement accounts and instead invest those funds with our advisor. I contributed 5% of my salary to my 401(k) because I was automatically enrolled by my employer to receive a company match. My wife received employer contributions regardless of whether or not she contributed. She was advised to completely bypass any additional contribution to her retirement account. This resulted in us missing out on over $30,000 of tax deferred savings every year. At a marginal tax rate of 25%, this meant we paid over $7,500 in unnecessary income taxes each year as a result of this advice. The combination of not using this deduction, along with income generated by holding our investments in taxable accounts, elevated our recognized income annually. This poor tax planning disqualified us from contributing to a Roth IRA. We may have been given this advice so the advisor could sell us funds to collect commissions or to charge fees for assets under management. In either model, the conflicts are the same. An advisor collects fees only when they control your money, creating massive conflicts of interest. The third model for paying for financial advice is paying a fee only for advice you receive. This is the most transparent model. You agree to pay the advisor directly for advice. This eliminates many, but not all, conflicts of interest. Simple is often better with finances. This is especially true when it comes to investing. The problem with paying for investing advice is the incentive it creates to make things complicated. If an advisor would have shown me we could save $7,000 in income taxes by maxing out work retirement accounts, I would have been ecstatic. If he would have told me index funds were likely to outperform actively managed funds we owned while costing much less, that would have added tremendous value. I would have gladly paid for that advice. Of course, once I knew this, there would be little else for the advisor to do for me. Investments could be placed on autopilot. There would be no reason for me to get my checkbook back out the next year. Allan Roth cites the need to justify fees as one of ten reasons advisors struggle to keep client portfolios simple. Roth is a rare breed in the financial industry. He became financially independent, then became an educator, consumer advocate, and fee only financial advisor. Most advisors would not share this information because, unlike Roth, they’re dependent on those fees to feed their families. On top of commissions and hidden fees we paid our advisor and his firm, we also paid a $450 annual advisory fee, rounding out the “perfect storm.” We didn’t get good tax advice and we consistently underperformed investment benchmarks, but we did get our money’s worth in one area. We got an abundance of complexity. We owned fifteen mutual funds in the name of diversification. Adding to the complexity, some of the funds were held inside the variable annuity. When we finally took time to decipher our investments, we realized that we only owned three asset classes: large cap domestic stocks, small cap domestic stocks, and domestic bonds. Unnecessary complexity is common in the financial industry. Making investing complex is a way for the financial industry to justify their existence. Since we began managing our own investments, we have added international developed and emerging markets, real estate investment trusts (REIT), and treasury inflation protected securities (TIPS) to our portfolio. We cut the number of funds we hold from fifteen to eight and cut our expenses by over 90%, decreasing cost and complexity while adding diversification. Not all financial advisors are bad people, and not all financial advice is bad. Even in our “perfect storm” scenario, we received some good advice. We were advised to automate our investments and contribute regularly, to stay invested during the 2008 financial crisis, and to select an asset allocation in alignment with our risk tolerance. In each case, our best interests were aligned with our advisor’s interests. But all financial advice comes with inherent conflicts of interest. In our case there were many conflicts. At nearly every turn, our interests lost out. We were sold unnecessarily expensive products, paid unnecessary taxes, and had an unnecessarily complex portfolio to our detriment. If you plan to seek investment help, you need to understand how your financial advisor is paid and the conflicts this can create. Go in with your eyes wide open or your vision may soon be further obscured when storm clouds start forming. Another great post Chris! I especially loved Allan Roth’s comments. If you’ve not seen them, you might enjoy these comments from the well-known investment writer Rick Ferri. The tag line at the end is his personal signature when he posts on the Bogleheads forums. Talk about a mantra to live by! Discipline is mandatory (it’s the glue that holds everything together). The Education of an Index Investor: started in darkness, found enlightenment, overcomplicated everything, settled on simplicity. I’ve read a lot of Rick Ferri’s stuff and actually have a review of one of his books coming up in a couple of weeks. Love his work as well & Love the insight in those quotes. Thanks for sharing. I think I’m at phase 3.5 as an investor. Confident in what I do and understand why, but question if I should simplify even further going forward. I guess that is the strategy part. Been a DIY investor for decades and have observed the same problems with advisors this article cites so have steered clear. But as a DIY investor that has moved up “tiers” with various firms, I’ve been offered “free” advise from advisors at Fidelity and Vanguard (you need to hit minimum investment levels to get this). When I utilize these advisors, I use them as sounding boards to pick holes in my investment decisions/plans. With less assets, you can get the same thing from a fee only advisor but for simple point questions, it may not be worth their while but so called “free” advisors are happy to shoot you an email back or have a 1/2 hour conversation with you. So where did I get value from these “free advisors”? 1) Portfolio balance. I took the time to add all my non-Fidelity and Fidelity investment holdings into a Fidelity portfolio analysis tool and their tool provides summaries of all my holding and breaks it down by geography, sector, bond/equity types, capitilzation size, etc. Looking at these distributions resulted in learning that I was possibly overweighted in technology and underweighted in consumer staples, etc. Other distributions looked pretty good but having a tool to break down your portfolio in these different ways may help you make better diversification decisions. I would assume you can find similar tools for free on the internet so I’m not specifically endorsing Fidelity … it’s just a tool that I became aware of after my free consultation with them. 2) You may want to update your will. An advisor can tell you things you don’t know about regarding wills and trusts, etc. For me, I learned from my advisor if you move out-of-state, you may have an invalid will. My advisor actually hosted a free conference call with their in-house wills and trust attorney to further discuss and I learned I should update my will and subsequently contacted my attorney to do this. I also learned that I should set up my will so that if either spouse dies, we should designate that death benefits be directed to a “disclosure trust”, so that we could avoid some state estate taxes. Sure, you can find out about this stuff on the internet IF YOU KNOW TO LOOK, but who can catch all this stuff by yourself? 3) Better use of traditional investments. I don’t use advisors to give me specific investment advise like what stocks/ETFs/funds to pick but I do listen to them about whether there are categories of investments I should consider. One thing I asked my advisor about was whether there were better things I can do with cash other than a taxable savings accounts or CDs. Best online savings I could find was 1.75% (Purepoint Financial) and CDs lock in your money which I shun because if I find a good investment opportunity, I want liquid assets to buy immediately. My advisor told me to consider short term municiple bond mutual funds which have a tax advantage, are liquid and statisically out-perform online savings with low volatility. I researched it and decided the extra risk for extra return was worth it for a lot of my investible cash and so far, it is paying out a little better. BTW, I found and bought a Vanguard bond fund in my Vanguard account even though my Fidelity advisor gave me the idea so there was no conflict of interest. There are more examples I found personally useful but my message is that as a DIY investor, having an experienced 2nd and 3rd ear to run things by may offer incredible value. Paying for it may or may not be worth it for a given individual but if you get a chance to get “free consultations”, I advise folks to prepare specific questions and listen with open ears to take advantage of any tidbits that could be useful. Good insights. I agree on the value and importance of having others to use as sounding boards. This audience serves that role in many ways. Many who are not shy to tell me when I write something smart, and more than a few willing to tell me when I write something dumb (which I appreciate!). I also am part of a small mastermind group of 5 couples taking similar paths through life. I haven’t actually consulted with a financial advisor since firing mine, but don’t think it is a bad idea for many people. I do use a CPA and attorney as needed. Great rundown Chris, although I could never imagine paying for an advisor myself. It sounds cocky, but this stuff just isn’t really hard. The info is out there. I do understand folks that have very complicated scenario’s with multiple businesses, alimony, pass-through’s, overseas accounts, and estate’s to manage would probably need to pay for help to optimize. But those folks are the vat minority. Most of the population could just learn the basics and DIY. Agree and disagree AF. I think you are spot on that the technical aspects of investing are easy for many if not most people. However, an investment plan is not a financial plan and tying things together can be challenging, as can controlling behavior for some. In those cases an advisor can add value, the problem is figuring out how to find a good one. The thing about the problem finding a good advisor is that it’s a lot like finding a good auto mechanic. Most of us would only seek a mechanic out when we absolutely had to because the chances of the first one you see to check your car’s overall health finding $2000 worth of “necessary” work is extraordinarily high. There are two components that are necessary for a mechanic or an advisor to be of value: 1) Is he good? and 2) is he honest? Very hard to know until it’s too late. No arguments. I came from the health care industry where second opinions are common. While it isn’t cheap, I encourage those who need help to use a fee only advisor and seek several opinions if needed. Unfortunately, even if you can eliminate conflicts of interest, it still doesn’t guarantee an advisor is competent, let alone good. No arguments with your points Rob. I have plenty more to write on this topic. Be patient, I’ll be writing articles sharing you’re perspective. Unfortunately, there are always inherent conflicts and you need to know what to look for before choosing an advisor. Even if you find an ethical advisor who is trying to put your interests first, you need to determine if they are competent. The financial advice industry is a minefield for a consumer to navigate unfortunately, so people need to understand that so they can go out into it armed with knowledge. When the market crashed and I found out what he’d done by looking at my online account (and also really looked at his fees, which were way higher than he’d quoted me), I called to fire him over the phone, but then he took control of the call and said he was firing ME because none of his other clients asked these kinds of questions and he couldn’t work with someone who didn’t trust him. I was never more happy to be “fired”! (I taped the whole conversation and thought about sharing it with his parent company but never did—too many other things melting down right then.) So then, sadder, wiser, and with less money after the crash, I gradually consolidated everything into various Vanguard index funds (no more proprietary financial products) and all under my control. Simplicity. Two years ago Vanguard Advisors Inc. got their claws into me when I needed some help with unwinding from a variable annuity Bad Advisor #2 had put me in, and then I had some questions about estate planning, and now I pay an AUM fee for… I don’t know what, actually. I think I feel another firing coming on (although to be fair it’s been nice to have someone to bounce ideas off over the past 2 years, but I’m too cheap to think that’s worth the $$). Back to simplicity! Am looking forward to your future articles. Wow! I feel so bad for you…particularly on the 2008 situation. There was a ton of bad advice going around at that time. I can’t tell you how many people were running for the hills. I personally stayed in the market and even put more into the market in Jan 2009. I just kept replaying the Warren Buffet quote in my head “be fearful when others are greedy and be greedy only when others are fearful”. Unfortunately, you have a lot of company with these types of stories. Glad to see you seem to be unwinding yourself from these past mistakes. Great post. I had a similar experience with a financial advisor and like you – I started adding up the fees and was sickened by how little of my retirement contributions were actually going towards my retirement. I still get sick to my stomach thinking how much my retirement has been set back by 7 years of investing with an advisor. Both my husband and I parted ways with the advisor and I went directly to Vanguard’s website and did lots of research. I chose only 3 tried and true Vanguard funds that have at least a 20 year history and good consistent returns. We haven’t looked back since and I will never have a financial advisor again. My grandfather always told me “You’ll never get ahead if you pay others to do everything for you”. He was absolutely right. Good to hear that you’ve turned things around. Agree that simple is better when it comes to investing. Hmmmm… this article got me thinking, but I’m not sure where I’ll go from here. I was with Ric Edelman back during the most-recent bad downturn. They went from loving Mutual Funds to loving ETFs — and that seemed okay. Until I realized their fee was higher than my Net Return. I am now, admittedly, with Vanguard Advisors, and I like the agent that I speak with about my retirement funds. But the results are not so good, so far. I am giving it a year before doing what I thought, myself, would be a better Plan: Finding Vanguard (or other) funds that have an historically-superior Return through both good and bad times. The conflict here is every article I read says something different. Be careful that you’re not giving blame (or credit) for return to your advisor. If you’re electing to invest in index funds, you have to accept that your returns will be market returns minus investment fees and taxes. If you just started with the advisor in the past couple of months, markets have been rocky. It’s scary how closely some of these stories match mine and my wife’s experience. When we 1st married I was a more experienced investor. She agreed to have me look at her investments. I sat down and I looked at my wife’s 403b and she was in this ridiculous Annuity that was charging 5% on every purchase and then had an 8% fee for closing out of the annuity. Fortunately I got her out of it early so the damage wasn’t too bad. I also had some bad advice from an advisor from Merrill Lynch back in the early 2000’s but again…learned my lesson quickly and got out . I’ve not used an advisor since and unlikely I ever will…. Agree I can’t imagine ever using an advisor to help we with investments. I do think they can add value in other ways though. The problem is finding one who is both ethical and competent. They’re out there, but you have to find them and be involved in the process. Carbon monoxide. That is what fees are. You can steal that. Silent killers. I finally convinced my parents to leave Edward Jones. Fees, complexity, what a mess the EJ “advisor” got them into. Sad. How to get this out to more people and help them? I guess that is the question. Agree Wade. I’m doing my best to use this platform to spread the word. Ditto on the sharks among weath management advisors. I’d always done my own, decided I needed some help and went with an advisor who was supposed to be fiduciarily on my side. Discovered pretty soon that he was recommending investments that were guaranteed to make him rich and almost as sure to make me poor. By pure lucky chance I recognized one of the companies he recommended as one that was scewing investors and I knew how it was done. Looked closely at the investment and, sure enough, same scam. Same was true of a couple of others he recommended. I do my own now, keep it very simple, seems to work fine. Sorry to hear about your negative experience Connor. Unfortunately, there are a lot of bad actors in this industry. I’m not a fan of the fiduciary rule. I think it is great in theory, but it’s really hard to legislate behavior and morals. I think the best chance you have is to find a fee-only CFP. This minimizes the conflicts and gives you some assurance of a baseline level of competence and education, but you still need to be an educated consumer and be involved in the process. Thanks Chris for sharing this informative article. I left my previous position with a large, well-known financial services company because of the inherent conflicts of interest you described. I chose to become an independent fee-only Certified Financial Planner™ Professional so that I could help people without the pressure to push proprietary financial products. I am a big fan of your and Darrow’s writing. I have given copies of Darrow’s books to my clients! Thanks for the feedback and helping spread our message Scotty. I know there are people doing good work in this industry and it sounds like you’re trying to be one of them. It always strikes me that if CFP’s are so good why their not all millionaires.And are willing to share their insights as a fee only consultation. Of course everyone’s needs are unique..
the reason their not all millionaires is that it’s practically impossible. CFP’s work in a variety of companies and having the education doesn’t automatically make you hundreds of thousands a year. A financial planner isn’t just there to make you “rich”, they are there to insure your strategy has proper tax considerations, you have your retirement planning in order, appropriate portfolio matching your life stage considerations, risk and asset management, estate and education planning. Hardly something that can be done over a 30 min phone call. If you can do all those things professionally by all means, go ahead. Ultimately all knowledge can be learned, however not everyone has the capacity or will to do so. I’ll side with Steve on this one. Many people who hold themselves out as financial advisors have massive incomes. Some choose to only work with high net worth individuals who they can make a lot of money from by skimming a small percent of their wealth in AUM fees which add up quickly. Others sell products not in a client’s best interests and collect handsome commissions for doing so. I’m sure many are millionaires if they’re decent at saving a percentage of their large incomes. A CFP charging a fee for consultation is a different animal. They are charging a flat transparent fee for providing a service. Sure that fee may look large when presented as a couple hundred or even a thousand dollars for an hour session, but it is hard work to get clients, prep for a session, do follow up planning and questions, so there is a lot more than an hour of work going into that “hourly” fee. There’s a reason this is not the most common model for financial advisors. It’s hard to make it work and it doesn’t scale well.